Usually, the first thing the average person would think of if asked what a migraine involved would be a headache. It is certainly the case that the majority of migraines involve head pain of some sort. According to the 1999 American Migraine Study, 85% of migraine sufferers experience head pain as part of their migraine attack. However, a sizeable percentage of migraine sufferers (36%) also experience visual disturbances. So what does ‘visual disturbances’ mean? Well, that depends. The type of visual disturbance experienced will vary in nature depending on the person. Some auras can appear as zigzagging or wiggly lines in their vision. Others may see a bright spot in the middle of their sight. Tunnel vision, flashing lights, ‘dancing’ colours and items that seem out of scale are yet more noted visual disturbances. When does it happen, and how long will it last? Usually the visual aura will occur before the onset of any headache pain. 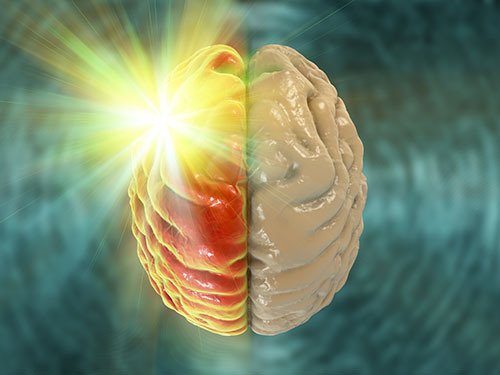 The visual aura lasts, on average, around fifteen-twenty minutes, after which time vision returns to normal and the head pain begins. Do these migraines have a special name? Some people call them ocular migraines, but this is a bit misleading as it suggests that the problem is in the eyes themselves. It’s not. The disturbed vision is a result of a wave of abnormal activity travelling across the brain, and reaching the part of the brain that is in charge of vision. It may be affecting your eyes, but it’s not really taking place there. It can be scary if you’ve never had one before and don’t know what’s going on, but it shouldn’t be something to be worried about. Visual disturbances are a common symptom of migraines. Having said that, if you’ve not had a migraine before, or your migraines have changed in nature to include visual disturbances, or become more frequent, you should let your GP know. This was posted in Migraine case studies and tagged migraine, Symptoms, Visual. Bookmark the permalink.